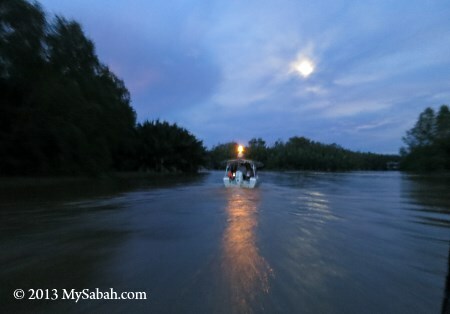 Sabah has many beautiful places which are only reserved for people actively seeking for them. 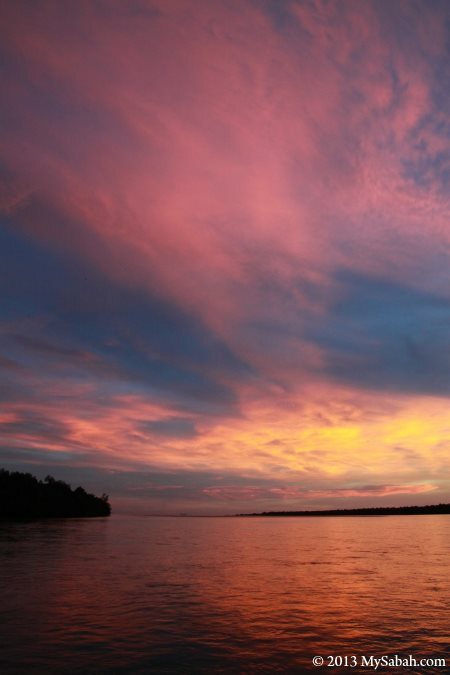 I noticed Weston when I saw many stunning sunset photos of Weston being shared everywhere on Facebook and Twitter. 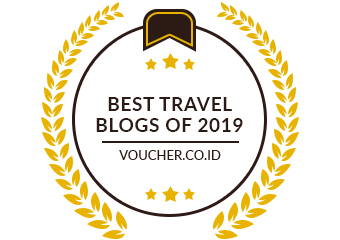 That’s why I traveled 125 Kilometers from Kota Kinabalu to Weston town last month, to see the magical moment with my eyes. However, I find more interesting things than a nice sunset. Named after a railway engineer, Arthur J. West in 1889, Weston town was an important meeting point for trains and ships, due to its strategic location back in the old days of British colony era. 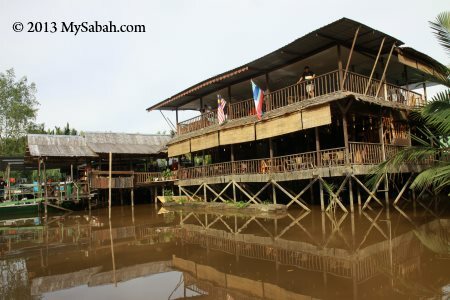 Today it becomes just another “remote” Sabah town between Beaufort and Sipitang. 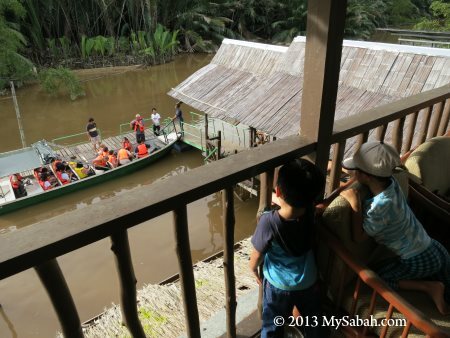 Few knows that Weston is the town which North Borneo Railway first constructed. 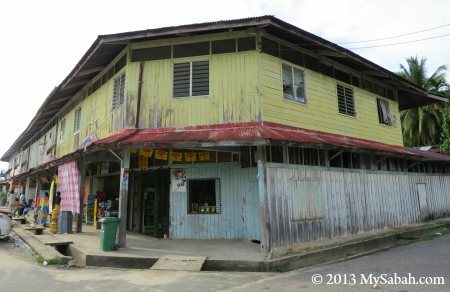 Pic: the old wooden shoplot built during British time over 50 years ago. Pic: such shophouses are getting less and replaced by cement building. 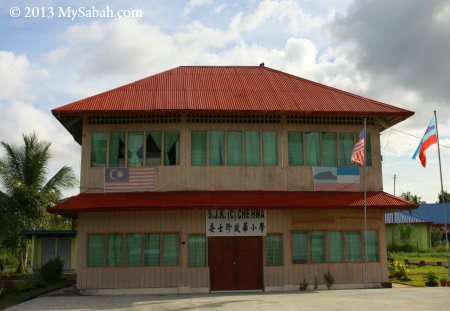 Probably one of the oldest wooden school of Borneo, Che Hwa school is a two-storey building constructed in 1932, and funded by donations from timber tycoons, charcoal merchants and shopkeepers of Chinese community*. In 1930s, many Chinese lived in Weston, the period when Weston was a key hub. Now this school has only 5 teachers and 7 students. Weston River was used to be called “Jump-Jump” River because of the mudskippers here. 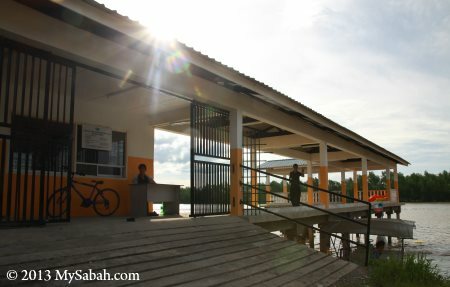 In late afternoon, you would see many villagers gather around the boardwalk, fishing and playing RC speedboats there. 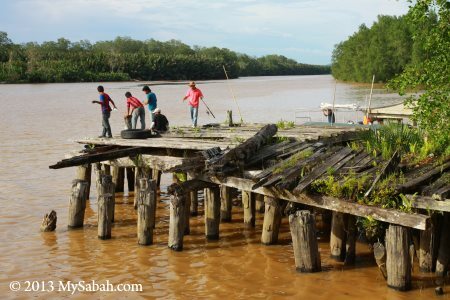 Pic: this old timber jetty exists since 1896, another legacy of British. British government abandoned Weston port when they learnt that the shallow water of Weston is unfit as a deep sea wharf. 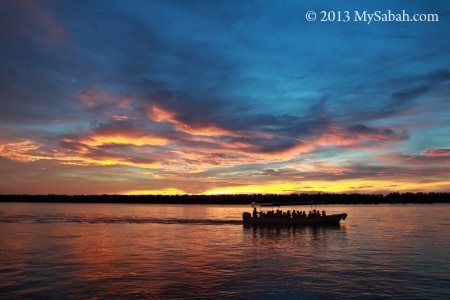 Now this jetty is a favorite spot for local anglers. After a short tour in Weston town, I got on a boat arranged by W.P.M.S. 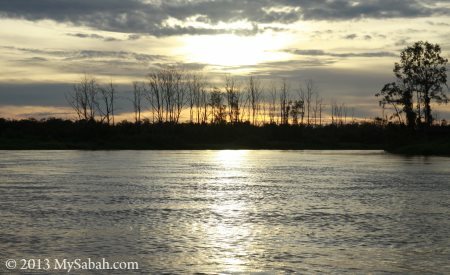 Tours & Travel and headed to their Weston Jaafar River Lodge nearby (see Location Map). 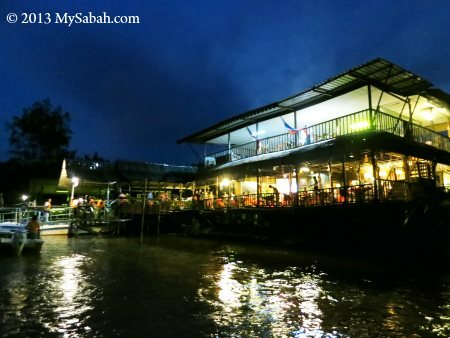 The lodge is a 2-storey wooden building built on riverside and surrounded by dense Nypa palm (or Nipah). 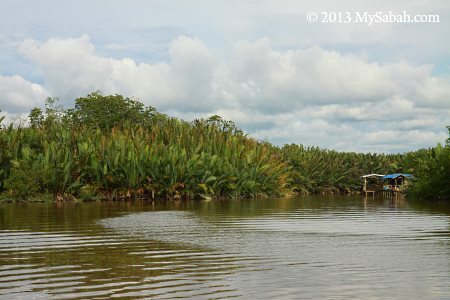 Nipah swamp forest, which has existed over 70 million years, is one of the oldest forest type in the world. With me is another group of tourists in the Weston tour. 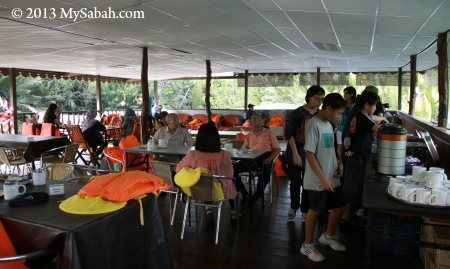 We first dropped by the lodge for a hi-tea before our sunset river cruise. 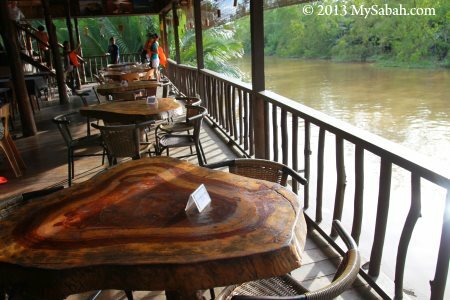 It is a great experience to enjoy afternoon tea next to a river. Pic: top floor of the lodge. There are sofa if you want to laze around. We had some fried noodle with tea/coffee. 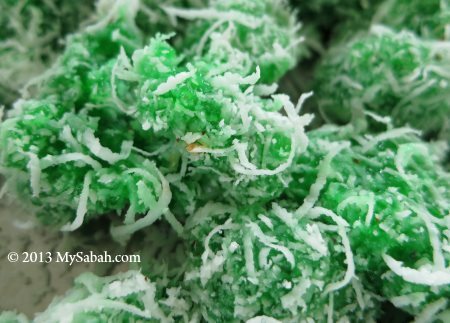 I really love the traditional desserts made by the locals. 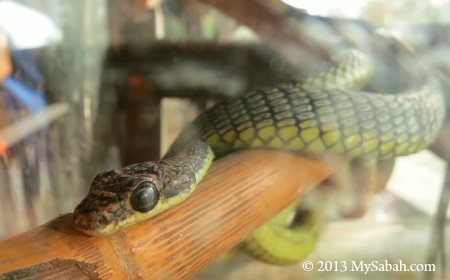 Pic: a Paradise Tree Snake in the display tank. It is a common snake in mangrove. 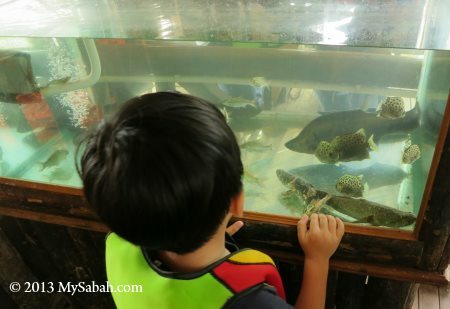 Pic: kids checking out the local fishes in aquarium tank. If I’m right, the fishes at the bottom right are Marbled Goby, a highly-priced freshwater fish and delicacy. It was around 5pm after we were done with tea break, everyone couldn’t wait to start the river cruise. The cool thing about wildlife sighting here is – we don’t even need to move our legs to look for animals. 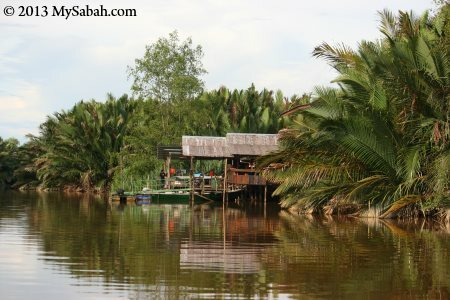 Weston River is part of the largest wetland (Klias Peninsula) in Sabah. 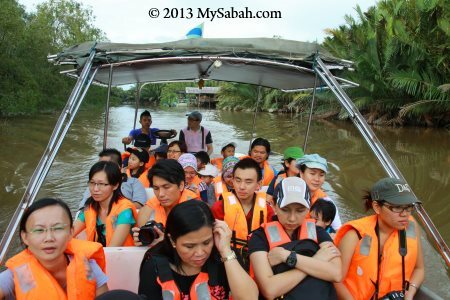 Wetland is a generic term that covers different aqua-ecologies such as coastal areas, river, lakes, mangrove, peat swamp, nypa swamp, etc., and it is the important habitat for some endangered Borneo wildlife such as Proboscis Monkey. 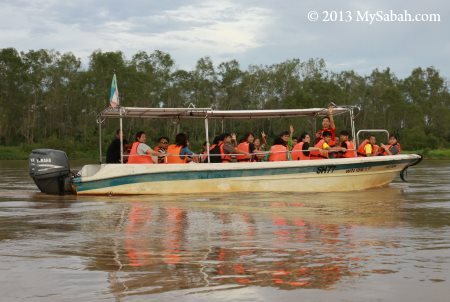 Very soon our guide spotted a saltwater crocodile taking a nap on the muddy river bank. It is about 3 Meters in length. Couple of months ago, a 1-Meter crocodile was found in city drain and made news headline. Haha, compared to this beast, that city croc looks more like a gecko. 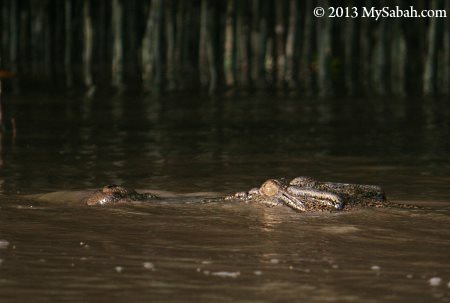 FYI, crocodile never ceases growing throughout its life, it can reach massive size if it lives long enough. The Nipah forest along Weston River is in great shape. Nipah trees grow very well in estuary, where sea and river meet, sometimes they are even dense enough to form a mini island in the river. Locals use the leaves of Nipah Palm to make roof and its sap to create sugar. The water of Weston River is a mixture of saline and freshwater, so it is a bit murky. However, crabs and prawns grow faster and bigger in brackish water like this, a reason why Weston is famous for its seafood. During high tide, groupers and snappers will swim to estuary, something that the local anglers are really happy about. 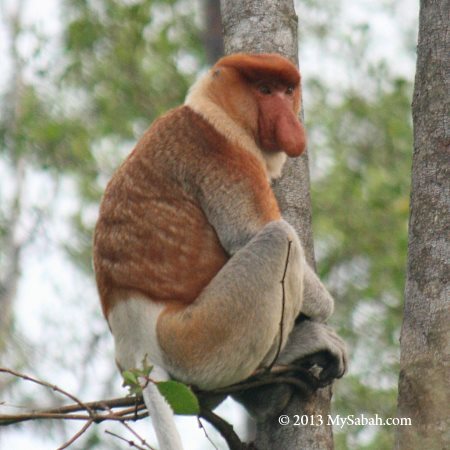 During our river cruise, we saw the superstar of Borneo, the peculiar Proboscis Monkey on the trees along the river. There were about 20 of them in a few herds far apart from one another. Some of them looked at us with catch-me-if-you-can expression on their faces. The long nose of male proboscis monkey is a symbol of sexiness to turn on female. They have big belly with very long intestines inside to digest the tough cellulose of tree leaves. 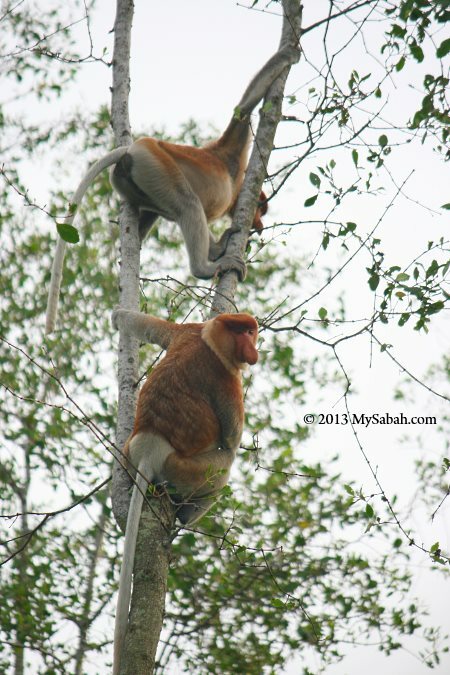 Proboscis Monkey is only found in Borneo and only 7,000 of them left in Sabah (and another 5,000 in other parts of Borneo), an endangered species. Another unfortunate thing is – they have low survival rate if held in zoo. If you are a bird-watcher, you will be pleased to know that there is a small population of Lesser Adjutant resides in Weston wetland. It is an ugly big bird with bald head. The sunset that I have been waiting for was coming, the sun was sinking slowly to the horizon. My guide, Simon was a bit worried because the dense cloud of earlier rain would spoil the moment. 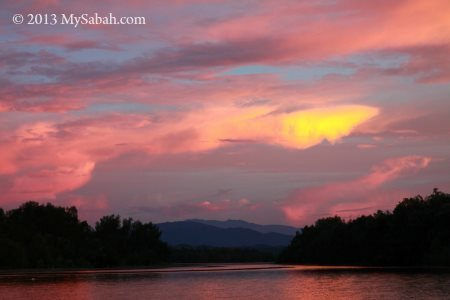 In Sabah, normally you get either the worst or best sunset after rain, it’s a 50-50 bet. Clear sky in sunny days usually doesn’t end with beautiful sunset, as sunset needs cloud and humid air as canvas, to paint its colorful light. When our hope was low, the colors on the dense cloud gradually turned intense. 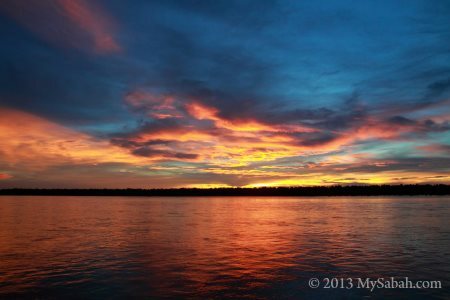 The “Magic Moment” of sunset only lasts a few minutes, so everyone keeps their eyes wide open, to enjoy every second of the view. Even the sky at the east was colored by sunset. 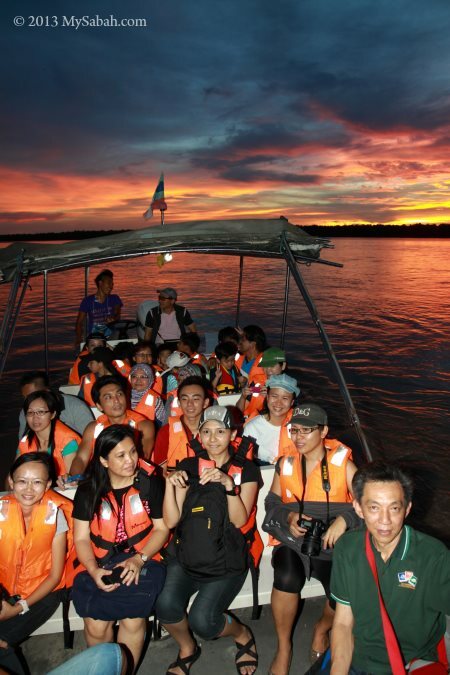 A splendid sunset over a horizon of mangrove trees, a view that I’ll miss forever! I believe the reason why Weston has nicer sunset than other places of Sabah is because it is nearer to the Equator. Everyone onboard is happy. The sunset is really one of the highlight of our trip. Again, it is meal time after sunset. 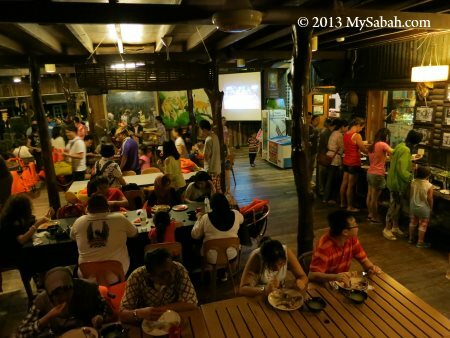 We went back to Weston Jaafar River Lodge for dinner buffet. 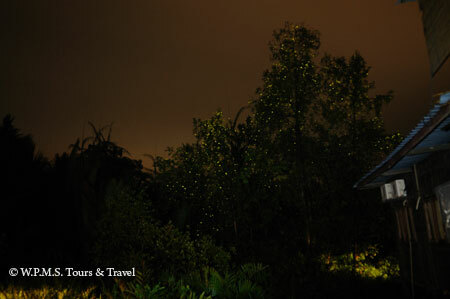 Right behind the lodge are a few trees lit up by fireflies like Christmas trees. 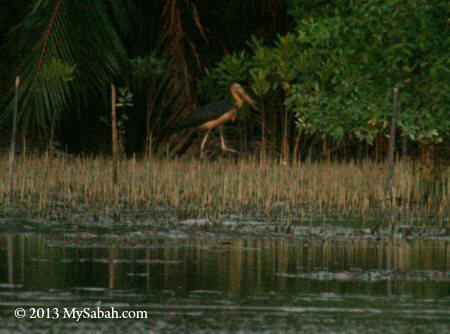 Eric planted some mangrove trees around the lodge to attract Proboscis Monkey, what he didn’t expect was these trees also became a magnet for fireflies. 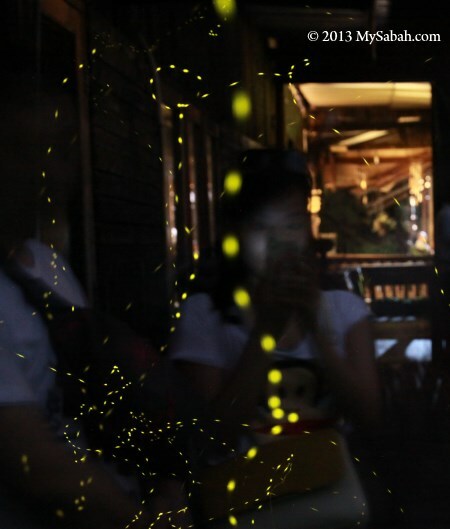 I noticed a girl next to me taking photo of fireflies that circling around her, so I got an interesting photo (see above). We started our night river cruise after dinner. 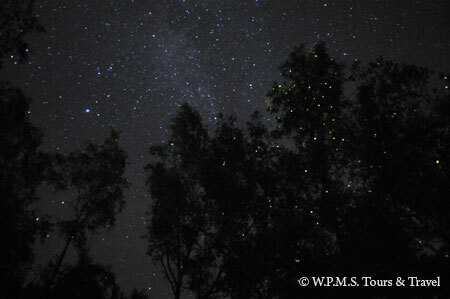 Many mangrove trees on the riverbank were full of fireflies! Hundreds of them synchronized their twinkling like the pace of heartbeat. Most city people never saw a firefly before, so they were really excited, especially kids. 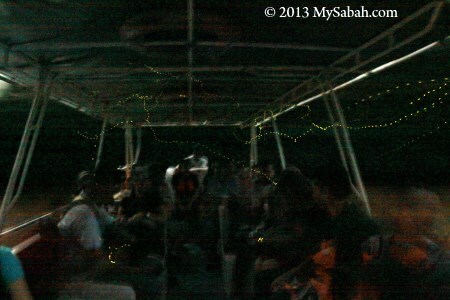 The fireflies even flied into our boat (noted the dotted light trail). 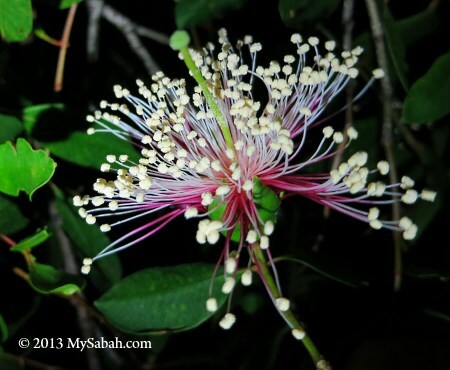 At the end, Eric showed us a pretty mangrove flower that only blooms at night, as it relies on bats to pollinate. It is an Apple Mangrove (Species: Sonneratia caseolaris), locally known as Perepat. 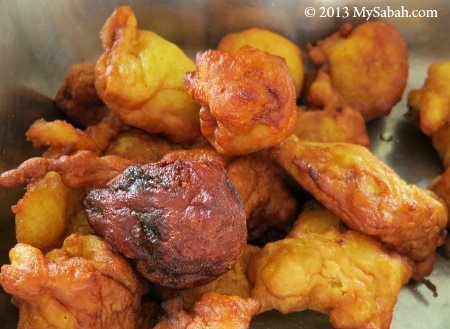 Its young fruit is edible and can be used as a traditional medicine to cure coughing. Though artificial and colorful city light is cool, it is lifeless and empty, only the light of nature can shine through our heart. Address: Lot 4, 2nd Floor, Block 9, Damai Point Commercial Centre, Kota Kinabalu, Sabah, Malaysia. 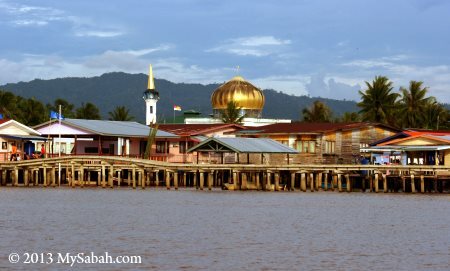 *Reference: “Colonial Townships In Sabah: West Coast”, written by Richard Nelson Sokial (PAM Sabah Chapter) in year 2012, (ISBN: 978-983-40734-4-2).